Driver monitoring can warn a fatigued driver to pull over and rest. It also supports other ADAS (Advanced Driver Assistance Systems) features like lane departure warning and switching between autonomous and manual driving mode. In extreme cases, such as drunk driving, it can disable the vehicle. Until now the technology has been wrought with visibility limitations at 940 nm infrared wavelengths. Osram and Advanced Vision Systems developed a new camera system that is now available for original equipment manufacturers. The system combines an Osram emitter with an Advanced Vision Systems camera to create the first infrared camera with exceptional image quality in visible, 400-700 nm, and near infrared, 940 nm, spectrums. Normally this technology would require two different cameras and alternating filters. Driver monitoring technology uses an IR camera with active illumination. The camera is mounted inside the vehicle and positioned towards the face of the driver in order to monitor their eyes, nose and face. Active illumination from Osram IR 940 nm high power stack emitters, as used in the IR Oslon, provides light not perceptible by the human eye. The light is reflected from the driver’s face and captured by the image sensor. Cameras currently in production do not work well at night or in poor lighting conditions. They don’t produce quality images in the IR spectrum and several require a 850 nm emitter which has a red glow, that can be distracting to drivers because the human eye is more sensitive to this wavelength. This new camera from Advanced Vision Systems uses Osram Oslon 940 nm emitters, which eliminate the red glow, use fewer LEDs and require less power consumption per LED. In addition to a more efficient and safer driver monitoring camera, the potential use in other automotive applications includes side view or surround view camera for blind spot detection, rear view camera for cross traffic alerts, and self-parking. It is an ideal driver monitoring solution that provides cost savings for other applications. Driver monitoring is also an essential piece of technology needed for the advancement of autonomous driving. In scenarios where the driver needs to take back control from the car, a monitoring system will need to ‘watch’ the driver in order to give them adequate time to safely do so. 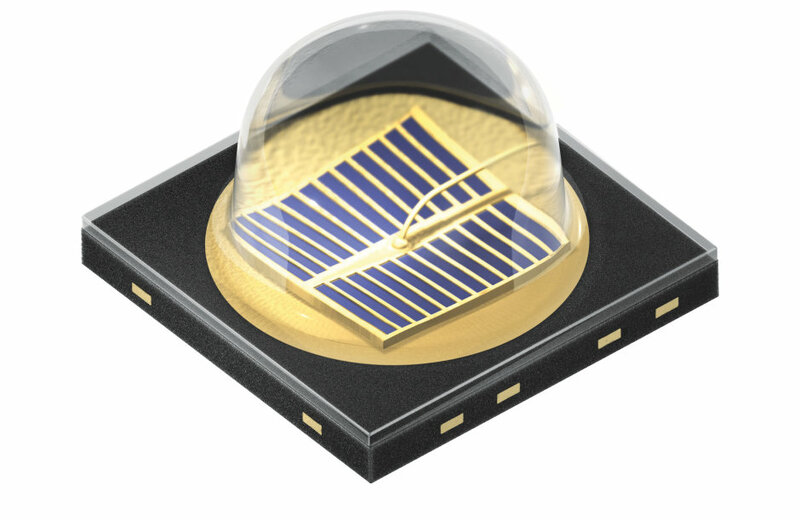 Special image sensors for IR are needed because the emitters used must match the sensitivity peak of the image sensor and also provide adequate illumination without causing eye safety issues. More information on Advanced Vision System can be found here, for more information on the implemented Osram infrared products, please visit our website. OSRAM, Munich, Germany is one of the two leading light manufacturers in the world. Its subsidiary, OSRAM Opto Semiconductors GmbH in Regensburg (Germany), offers its customers solutions based on semiconductor technology for lighting, sensor and visualization applications. Osram Opto Semiconductors has production sites in Regensburg (Germany), Penang (Malaysia) and Wuxi (China). Its headquarters for North America is in Sunnyvale (USA), and for Asia in Hong Kong. Osram Opto Semiconductors also has sales offices throughout the world. For more information go to www.osram.com. Advanced Vision Systems Engineering LLC is a Michigan based developer of leading edge camera technologies for the transportation and security markets. Advanced Vision Systems specializes in providing camera technologies for demanding performance environments and through its proprietary optical system delivers industry leading daytime and 0 Lux night vision capability to their customers. AVSE has manufacturing capabilities in Asia, the US, and Mexico. For more information visit www.advancedvisionsystems.com.